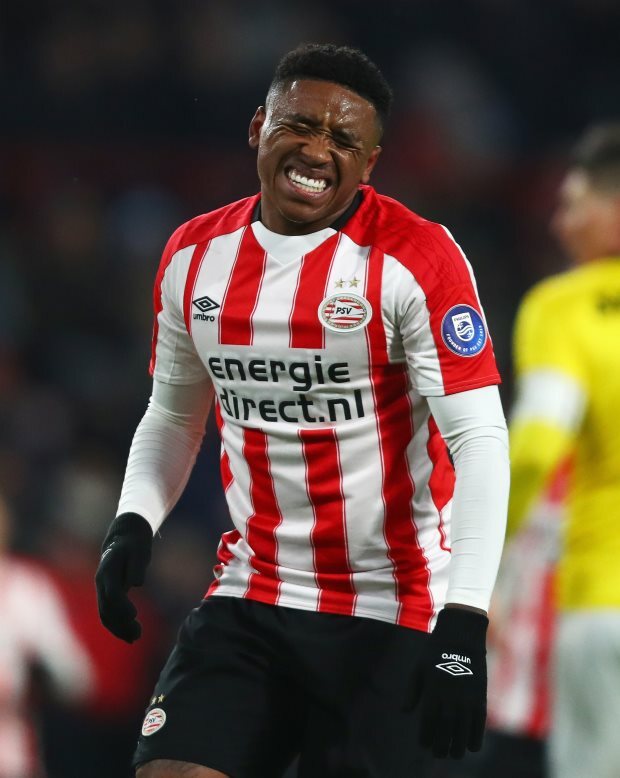 Former Premier League striker Jimmy Floyd Hasselbaink has warned Liverpool and Manchester United target Steven Bergwijn that he would be under increased scrutiny if he moves to England, following an injury incident. Bergwijn is tipped to be hot property when the summer transfer window opens and PSV Eindhoven could cash in on the 21-year-old. He was taken off on a stretcher earlier this month after PSV Eindhoven's 5-0 win over Fortuna Sittard, with a broken fibula suspected. But he was back in training three days later and then played without incident on Sunday, clocking all 90 minutes in a 2-2 draw with FC Utrecht. And Hasselbaink believes it was odd and there would be questions asked if Bergwijn did the same in England. "I am glad he is playing football again and I am glad he does not have a big injury", Hasselbaink said on RTL 7 talkshow VTBL. "I think Bergwijn is a very good footballer, but I think it's weird that he is carried away on a stretcher and is back on the training pitch three days later. "I have to ask him which doctor he has. "In England, he would get bad publicity. "I am not saying that he does not have a lot of pain, but three days later it is over and he can train again…. "Look, I am happy for him, because you want to see such players on the pitch. "So I am very happy, but it is very strange", Hasselbaink added. Bergwijn has netted ten goals all competitions for PSV Eindhoven this season, along with registering 12 assists, form which has put him firmly on Liverpool and Manchester United's radar.